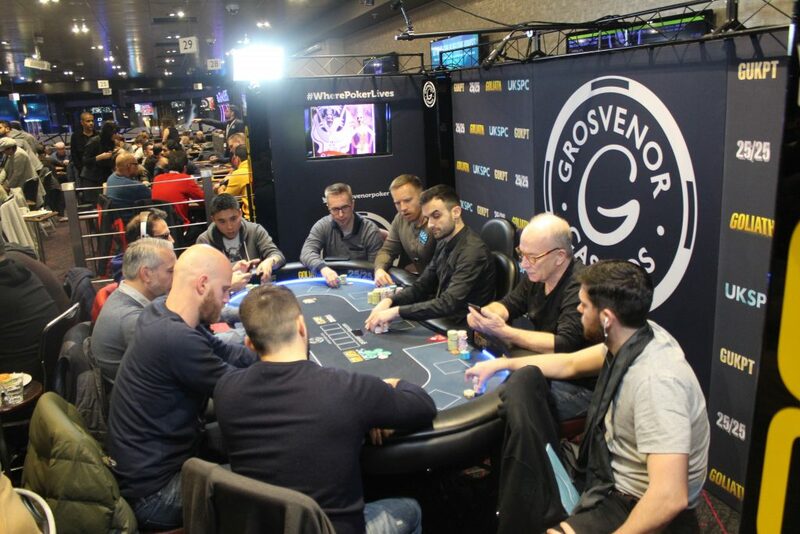 Day 2 of this huge GUKPT Main Event has flown by! We started the day with 139 players and now there are just 20 remaining. 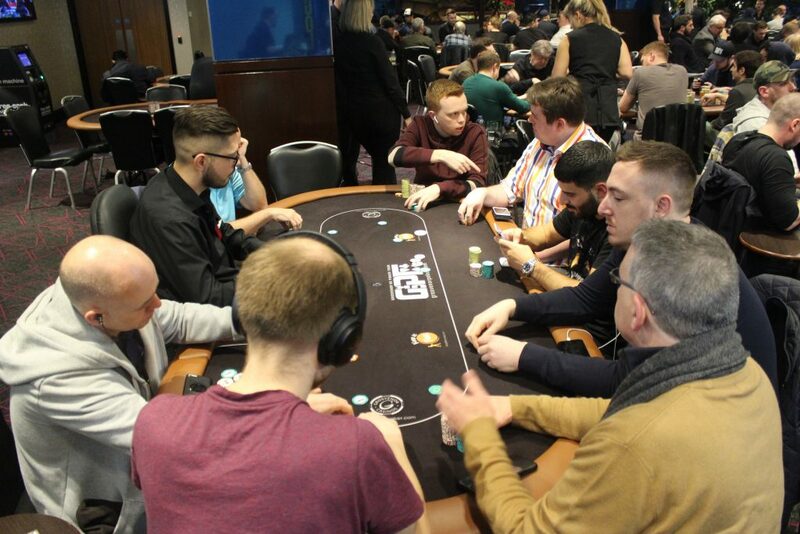 The players who will be back tomorrow are guaranteed at least £3,700, but all have their eyes on the first place prize of £122,460. Join us tomrrow when we will be playing down to a winner and crowning our first champion of 2019. We will post the chip counts up as soon as possible. 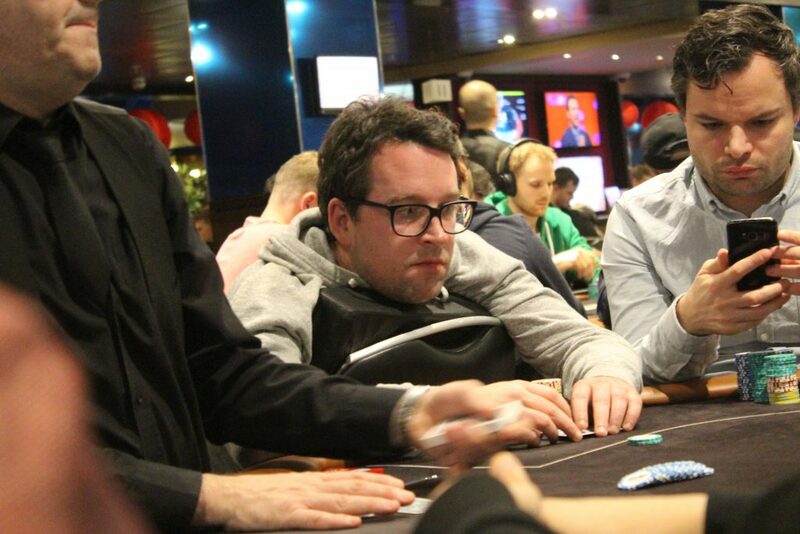 The players will now play 4 more hands before bagging up for the night. The blinds increase as we begin the last level of the day. The blinds are now 5,000/10,000 with a 1,000 ante. 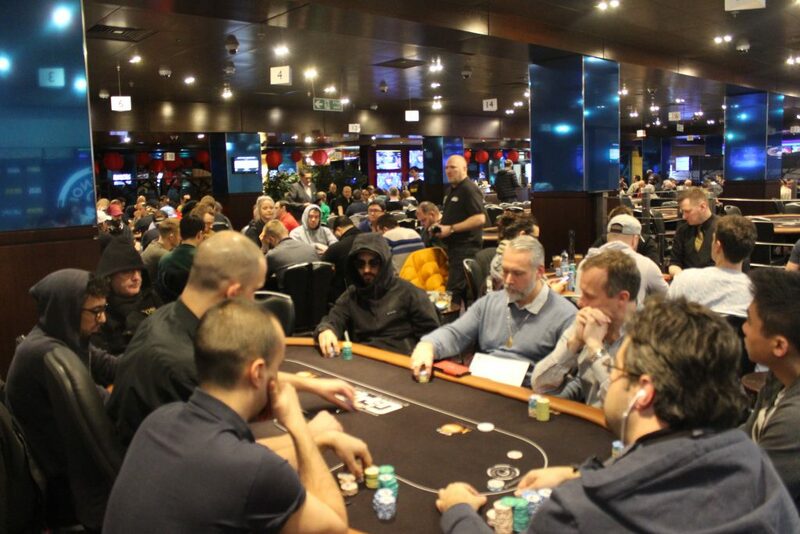 The players are back seated as we begin level 19. The blinds are now 4,000/8,000 with a 1,000 ante. 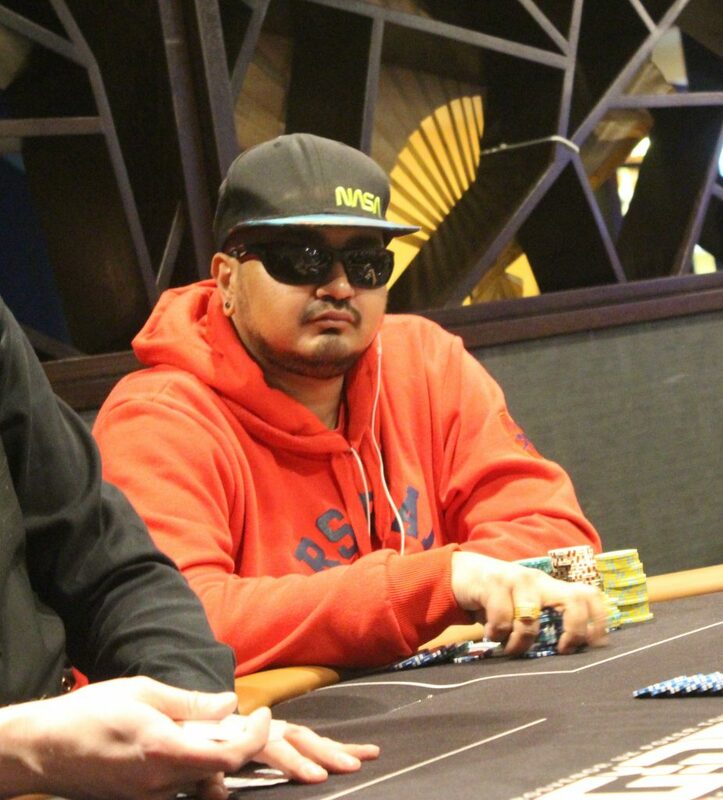 The blinds increase to 3,000/6,000 with a 500 ante. 42 players remaining all in the money!! 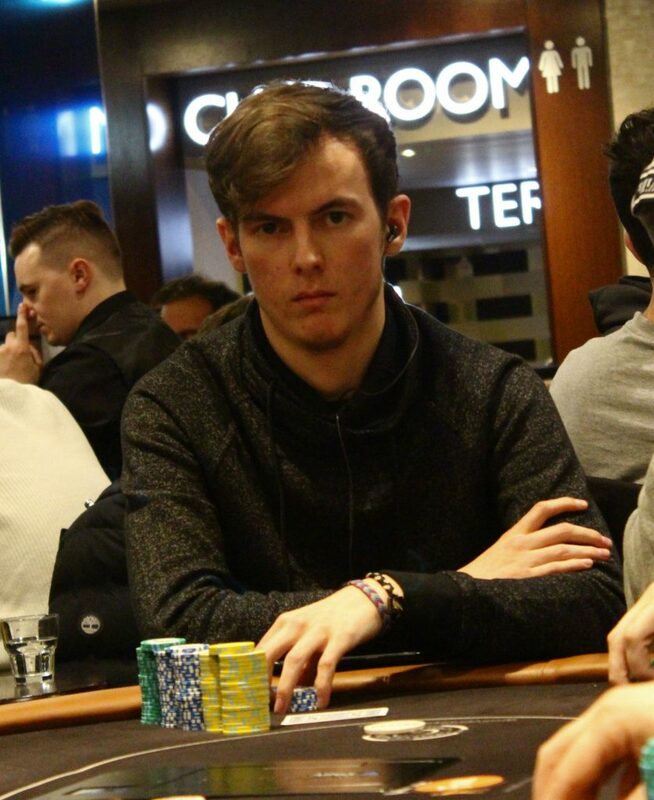 Just a few hands into the bubble, Toby Wilkins three bet shoves for his 60k stack and is snapped off by chip leader Adel Benmessaoud. Toy tables A-K and has ran into the ACES of Abel. The flop comes with a King on it which gives Toby two outs. The turn card comes a seven. 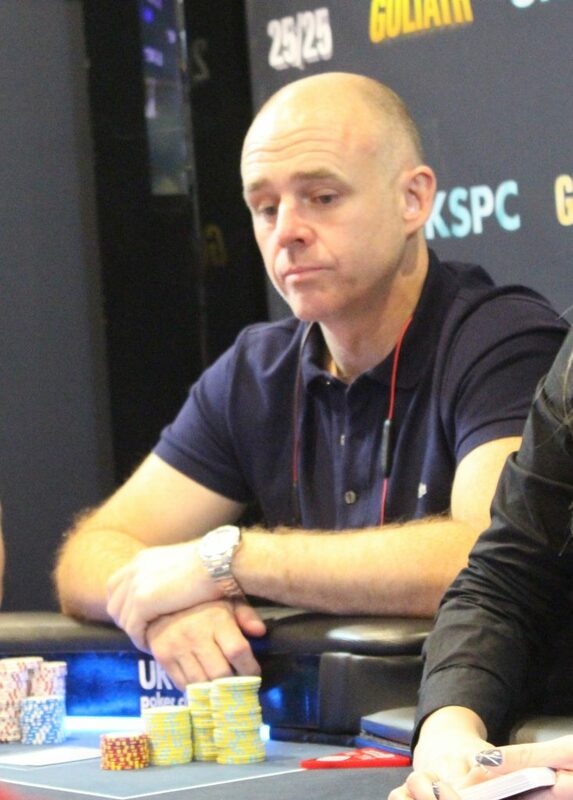 No help for Toby as he bubbles the first main event of the season. Three more exits from the field and with their eliminations we are now on the bubble!!! The blinds are now 2500/5000 with a 500 ante. Break time now as we takes 15 minutes. They are now 2,000/4,000 with a 500 ante. 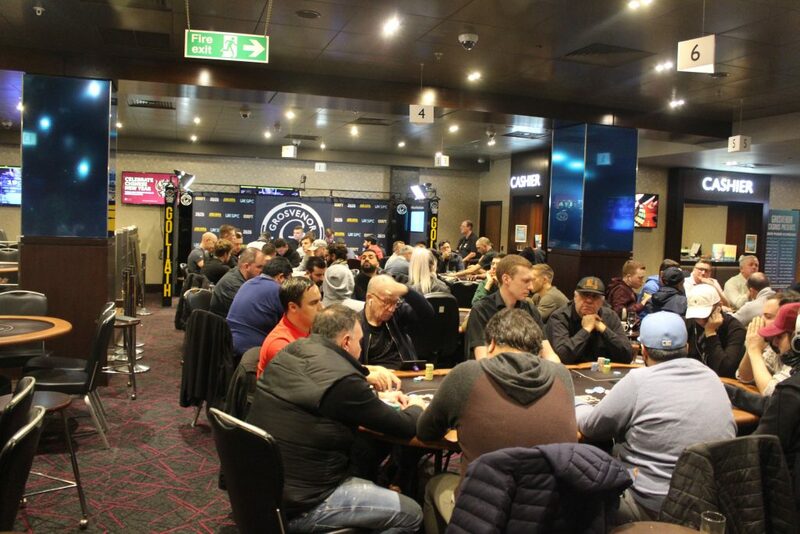 The side event has just started here in the Poker Room. 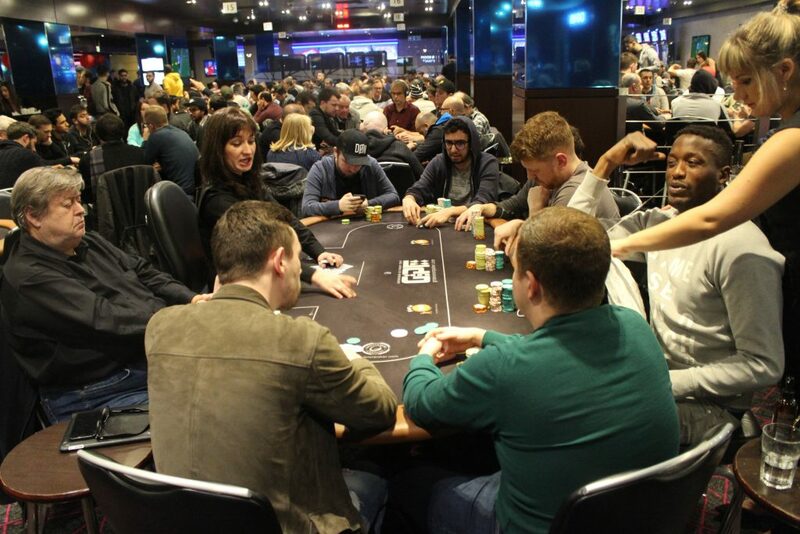 £250+£25 Buy In with late registration open until 6:15pm. They are now 1200/2400 with a 300 ante. 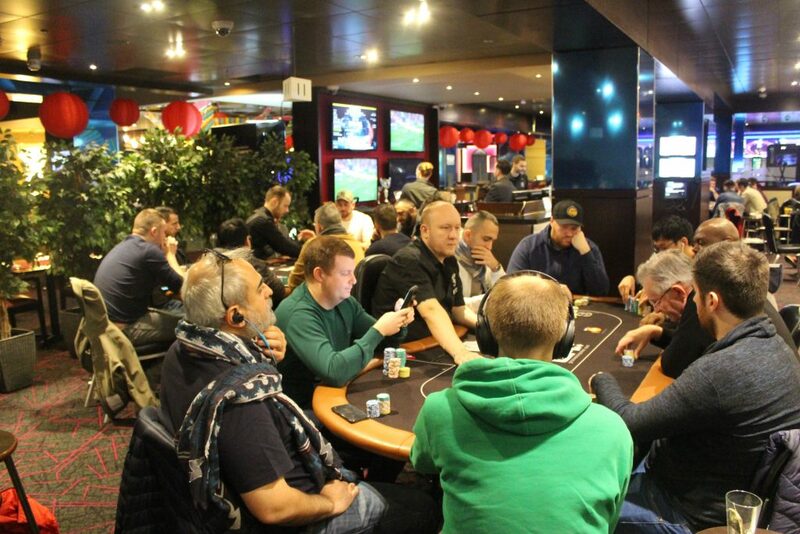 The players are back from their first break as we begin level number 13 of the tournament. The blinds are now 100/2000 with a 200 ante. It’s fast and furious here as always at the start of Day 2. The blinds are 600/1200 with a 100 ante. 139 players start the day. We will be underway in 10 minutes time. 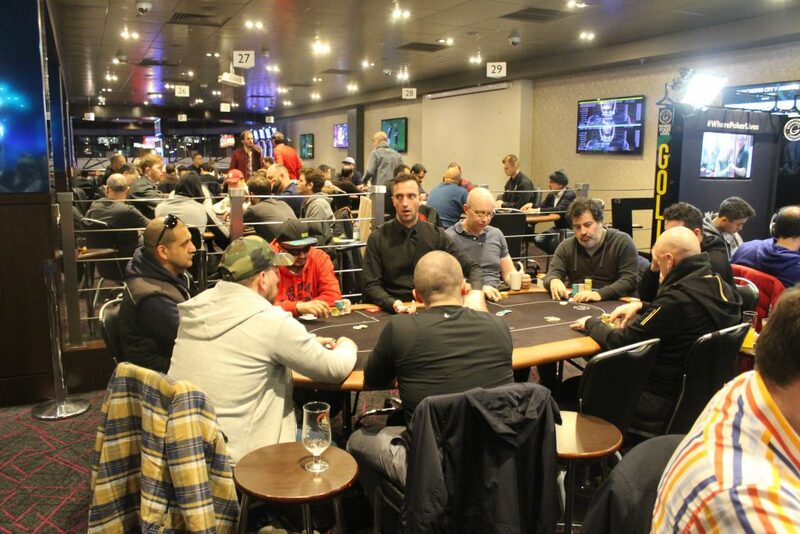 Good morning and welcome back to Day 2 of The GUKPT London Main Event. 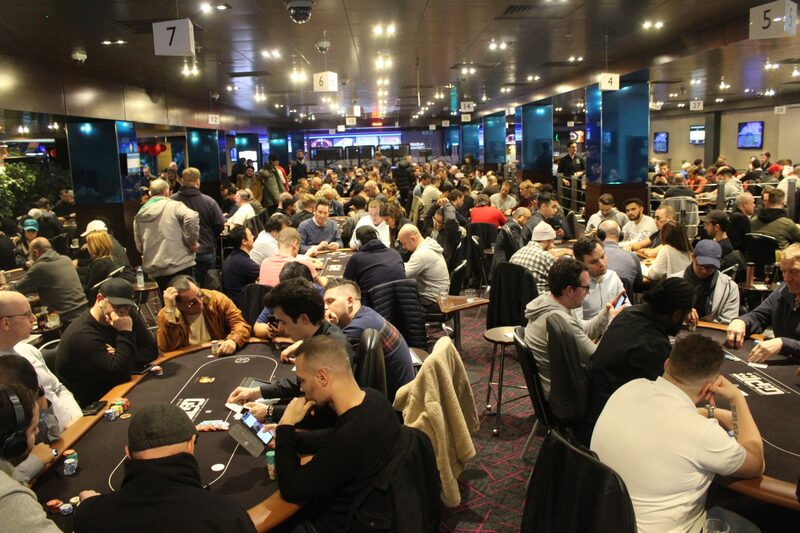 There are 139 players making their way back today to play another ten levels of play. 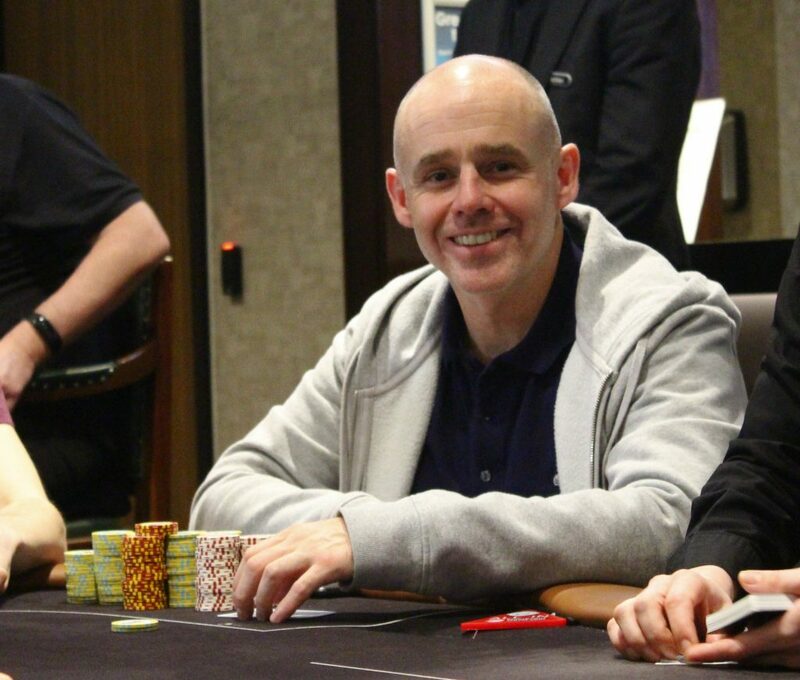 James Carey leads and will be on our feature table. 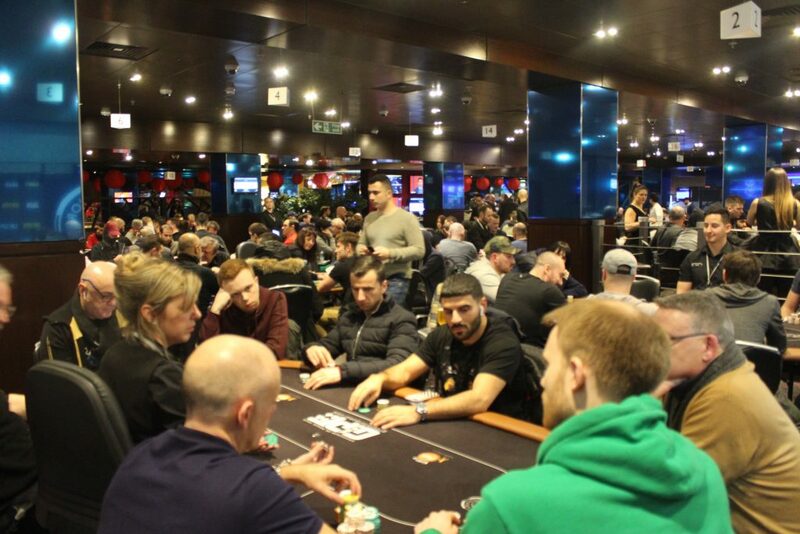 There’s a massive £467,000 in the prizepool, with 42 players being paid and the winner taking home £122,000!! 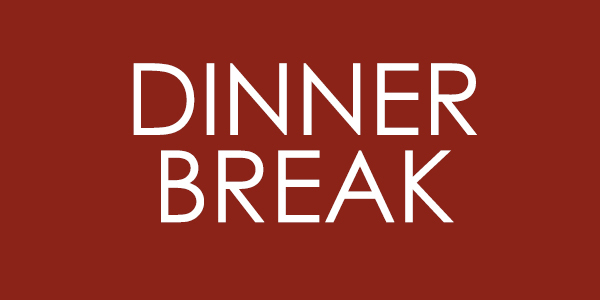 It should be another great day of poker and we will begin at 12pm.